Whispers in the Loggia: "Fidel Has Died.... Now He Awaits Judgment." Querido Don Agustín, Fidel falleció. If there's a place to start amid this early morning's news, we'd be remiss to not look first to the heroic witness, courage, sanctity and charity of Bishop Agustín Roman, who led South Florida's Cuban faithful in exile for five decades until his death in early 2012. Yet even as thousands of El Padrino's own who fled their homeland for these shores would be laid to rest facing the island 93 miles away, awaiting the day of its freedom, that wasn't the burial Román chose for himself... barring the future that – at least, on a symbolic level – suddenly begins with this moment. Late Friday night, the Cuban President Raúl Castro announced the death of his Communist regime's "historic leader" – his brother, Fidel, the island's de facto ruler for nearly a half-century – at the age of 90. 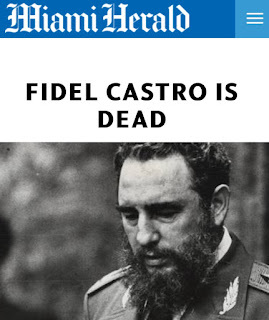 One of the West's most polarizing characters all through and even beyond his reign, while the colorful, oft-impulsive Comandante had formally handed the office to his younger sibling nearly a decade ago, the passing of the island's totemic personage – the guiding force behind no less than three papal visits to an officially-atheist country – represents a watershed point in what church officials on all levels have long hoped will be Cuba's "soft landing" into a liberated reality, a scenario already beginning to make marked headway following the landmark 2014 pact between Washington and Havana which, at Pope Francis' behest, began to thaw the half-century blockade between the island and the US. Fittingly born amid a hurricane, the cigar-chomping, Harley-riding prelate might be battling a cold, but to know Wenski is to know how no bug could keep him from the flourishes of the moment... at least, under normal circumstances. Clearly, though, this scene was anything but. 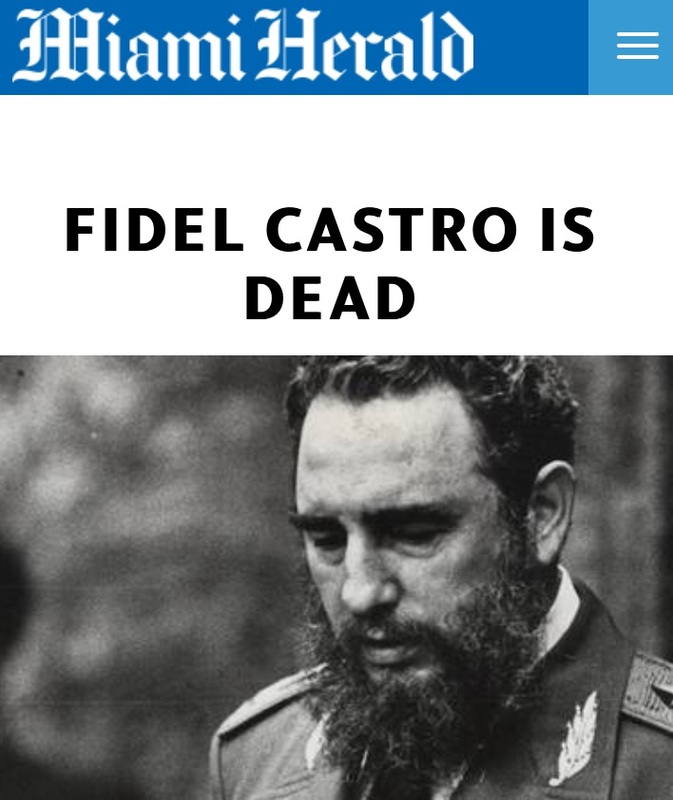 "The death of Castro represents the end of an era, and a beginning of hope for the island." En el libro de Eclesiastés del Antiguo Testamento leemos: “Al justo y al malvado los juzgará Dios pues hay un tiempo para toda obra y un lugar para toda acción. “ (Eclesiastés 3: 17). Fidel Castro se murió. Ahora le toca a él el juicio de Dios que es misericordiosa y también justo. Su muerte provoca muchas emociones – dentro y fuera de la Isla. 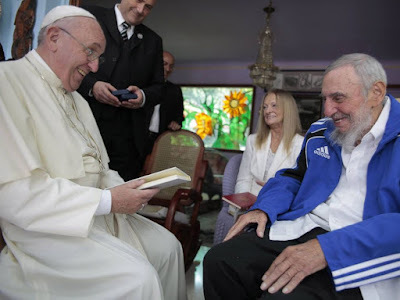 Sin embargo, más allá de todas las posibles emociones, el deceso de esta figura debe llevarnos a invocar a la patrona de Cuba, la Virgen de la Caridad pidiendo la paz por Cuba y por su pueblo. “A Jesús por Maria, la caridad nos une.” Que Santa Maria de la Caridad escuche al pueblo y adelante para Cuba la hora de la reconciliación en la verdad acompañada de la libertad y la justicia. Que, por la intercesión de la Virgen mambisa, los cubanos sepan transitar ese camino estrecho entre el miedo que cede al mal y la violencia que bajo ilusión de luchar contra el mal solamente lo empeora. Virgen de la Caridad del Cobre, cúbranos con tu manto! In the Old Testament Book of Ecclesiastes, we read: “...both the just and the wicked God will judge, since a time is set for every affair and for every work.” (Ecclesiastes 3: 17) Fidel Castro has died. Now he awaits the judgment of God who is merciful but also just. His death provokes many emotions –both in and outside the Island. 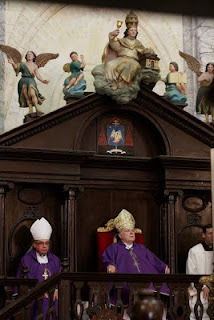 Nevertheless, beyond all possible emotions, the passing of this figure should lead us to invoke the patroness of Cuba, the Virgen of Charity, asking for peace for Cuba and its people. In an even more pointed commentary from the exile's home-base, one prominent Cuban in the South Florida fold cabled overnight that "My parents and my grandparents long[ed] to live this day and did not see it. To hell he [i.e. Castro] goes." As of press-time, no statement has yet emerged from the Vatican – further developments to follow. SVILUPPO (7.30am ET): Addressed to Raúl Castro as Cuba's head of state, the following message from the Holy See to Havana was released around 1pm in Rome. On receiving the sad news of the death of your dear brother, His Excellency Fidel Alejandro Castro Ruz, former President of the Council of State and the Government of the Republic of Cuba, I express my sentiments of grief to Your Excellency and the rest of the family of the late dignity, as well as to the government and the people of the beloved nation. At the same time, I offer prayers to the Lord for his rest and I entrust all the Cuban people to the maternal intercession of Our Lady of the Caridad del Cobre, Patroness of your Land.